For the past few years, a dedicated GLC team has been busy. How do we co-create a Great Lakes Commons with so many obstacles? As you can see by the Background section of our website, there is a long story of failure we are trying to shift. As a small initiative with BIG goals (to protect the Great Lakes as a shared and sacred commons) what kind of work makes this shift possible? Adapting this shift to protect water is a big part of our common work here. Every week we work with new and gifted people. While some work for water NGOs, most people span a diversity of interests and professions. Ben Roberts is a professional collaborator – he sees the art of commoning as an invitation to a better (yet more complex) conversation about water. Ben recommended that we take a long look at the book Community: The Structure of Belonging by Peter Block. This post isn’t a book review, but we want to highlight a few key findings that connect to GLC – specifically our Commons Charter and recent Charter cafés. This summer we hosted 2 (with our 3rd on September 17th) cafés conversations with people who have supported our Commons Charter. After 2 years of collaborating on the creation of this Charter and another year of raising support for it, the core of this work is a powerful invitation into a new possibility. What if we could start relating to the Great Lakes as a shared and sacred commons? What if we acted like we belonged to this place? We need to shift our conversations from problems to possibilities. The small group is the unit of transformation and the container for the experience of belonging. Commitments that count the most are the ones made to peers. We are not defined by deficiencies or what is missing, but by our gifts and what is present. But what can we learn about this structure of belonging and how can we use it to measure the success of our past and future invitations? Hosting events (on or off-line) consume incredible amounts of resources – time, energy, and funding. Our Commons Charter and follow-up cafés conversations require 2 important elements that Peter can help us with: a good invitation and the power of a community’s commitments. In Amanda Palmer’s story, the record industry considered her a failure since she only sold 25,000 copies of her album. But she later raised over one million dollars through the power of the ask -- an invitation bonding risk and trust. Her fans transformed a commercial failure into a community success through an on-line crowdfunding project. What was the total number of givers? Almost 25,000. People wanted to join a new possibility, rather than just buy her product. What is success for the Great Lakes Commons initiative? We’d like to see more people support the Charter with their name and commitments for change. But we can only get there with better invitations. “We are the ones we’ve been waiting for”. The Commons Charter is not a prescriptive blueprint for the above reason. Instead, it strives to be that porous container for our collective possibilities. 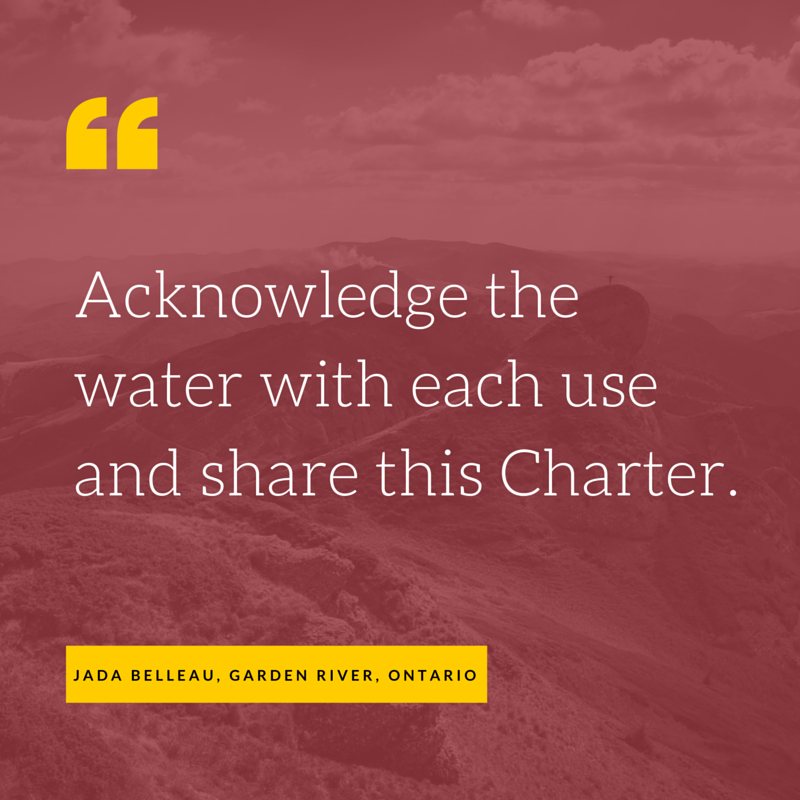 The Charter cafés, the gallery of Charter commitments (some of our newest seen in this post), and the mapping of Charter supporters are important to connect and ignite this communal energy. Protecting the Great Lakes forever seems impossible only when we don’t invite this exchange of shared possibilities. How else can we all structure this belonging to a Great Lakes Commons? What are the specific conversations that we need to be having and with whom? 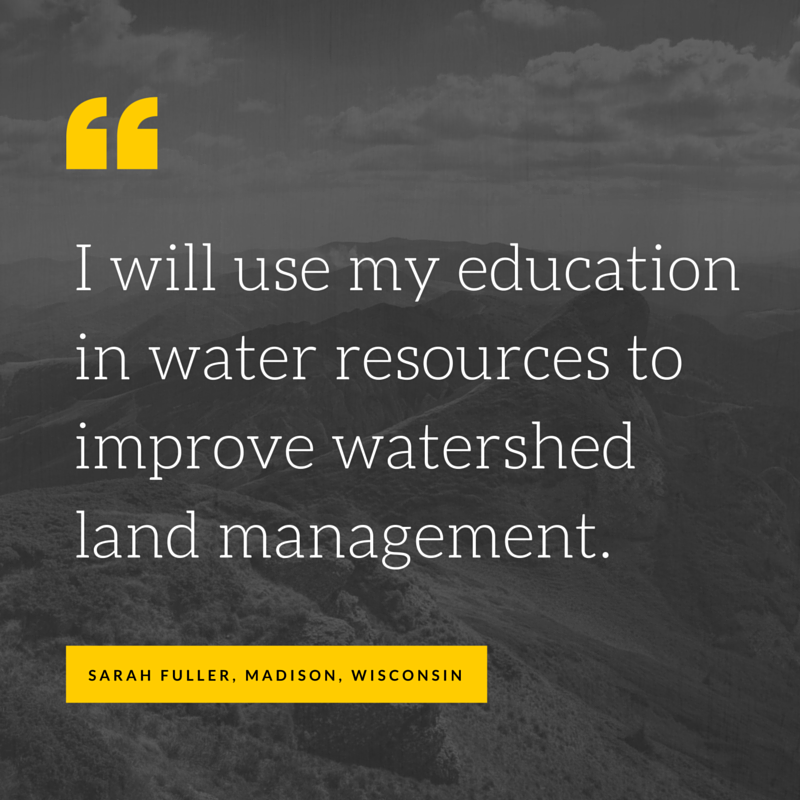 How well does your experience in community building lend itself to water-commoning? What can water teach us about expressing our gifts and being good ancestors? 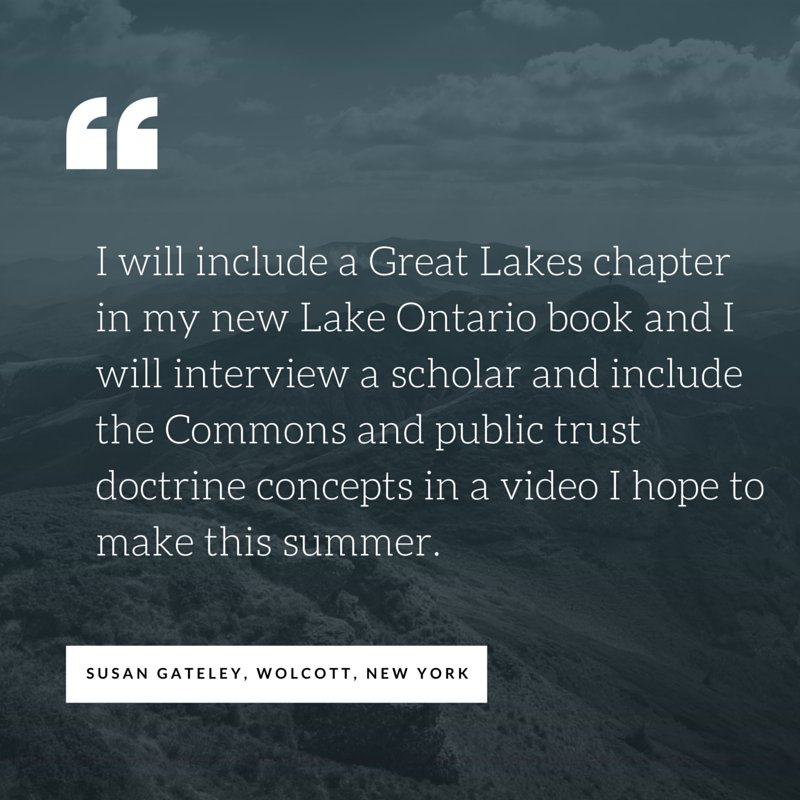 What new virtual and face-to-face invites can we make in the coming weeks and months that deepen our commitments to each other -- to our Great Lakes Commons?